1. For the marinade: Combine the orange juice, lemon juice, oils, Italian seasoning, salt, garlic, and, powdered mustard in a small bowl, and stir well. 2. 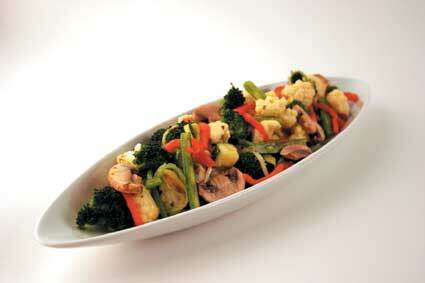 For the vegetables: Toss the vegetables with the marinade. 3. Put the vegetable mixture and the marinade into glass jars, and marinate in the refrigerator for 8 hours. Alternatively, put the jars in a dehydrator and warm for 4 hours at 115 degrees, which helps the vegetables to soften more quickly and to absorb the flavors of the marinade. 4. Drain excess marinade and serve chilled, at room temperature, or warm. 5. Store in an airtight container in the refrigerator for up to three days.